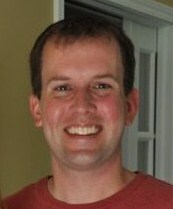 Zachary Cairns ('00 B.S., '03 M.A.) received first prize in a contest sponsored by the Percussive Arts Society (PAS) for his composition titled Two Pieces for Baritone Saxophone and Percussion. The award comes with financial compensation, a review in Percussive Notes, and the opportunity to have the composition performed by five university-level percussionists. Zach is an assistant professor of music theory at UMSL. He received his Ph.D. in music theory from the Eastman School of Music in 2010, and has presented papers at the Society for Music Theory, the Music Theory Society of the Mid-Atlantic, Music Theory Society of New York State, and the International Conference on Music in Russia and the Soviet Union (Durham, England, 2011). His article "Svetlana Kurbatskaya on Serial Music" was published in the journal Gamut in August 2012, and he has two articles on various aspects of Russian music theory in forthcoming editions of Music Theory Online and Indiana Theory Review. His research interests include the serial music of Russian composer Edison Denisov, the avant garde music of the post-Stalinist U.S.S.R. in general, and theories of metrical dissonance and phrase rhythm in tonal music. In 2012, he was awarded a grant from the University of Missouri Research Board to conduct research at the Tanyeev Library of the Chaikovsky Conservatory in Moscow, Russia. While a student at Penn State, Zach was a percussion student of Dan C. Armstrong. He is married to fellow Penn State alum Whitney Simpson Cairns ('02 B.S.) who also teaches at the University of Missouri-St. Louis. They have one daughter.